I love seafood, and when I first started cooking, I was nervous about cooking fish. It just seemed so persnickity (even though that’s not a real word, I know you know what I mean). I’ve just always heard the negatives about cooking seafood: you need to buy it fresh or it loses its flavor, don’t undercook it, don’t overcook it, it falls apart in the skillet, etc. etc. Well, I just had to ignore those things and give it a shot. And just FYI, I buy frozen fish fillets. Granted, I’m sure fresh seafood does taste significantly better than frozen, but here in the normal world of normal cooking, most of us can’t afford market price seafood and need something that won’t spoil quickly but will last in the freezer. And ya know what, it still tastes good. So don’t let that stop you. Below you will find a crazy easy recipe that anyone can do! So if you’re new to cooking seafood, this is a great one to start off with. When I looked at this recipe, I did not have high hopes. It just seemed like yet another fish recipe where you just put bread crumbs and herbs on it, and call it a day. Well, that really is all you have to do, but I guess this recipe just got the combination right because this was WAY better than I was expecting it to be. My only complaint is that I wish my fish fillets had been a little larger! This is also a Weight Watcher’s Recipe, and it is worth 6 points. Yay for food that’s healthy AND delicious! Place fillets on a sprayed no-stick baking sheet. Combine remaining ingredients. Spoon 1/4 of the mixture on top of each fillet, pressing gently to make sure it sticks. Bake for 10 minutes or until fish flakes easily. Since my fillets were small, this made more breading than I needed, and I probably could've reduce the amounts a little. However, if you have larger fillets, then this is probably a good amount. I made this one on Saturday and it was very good with steamed broccoli and Zattaran’s black beans and rice. Awesome! 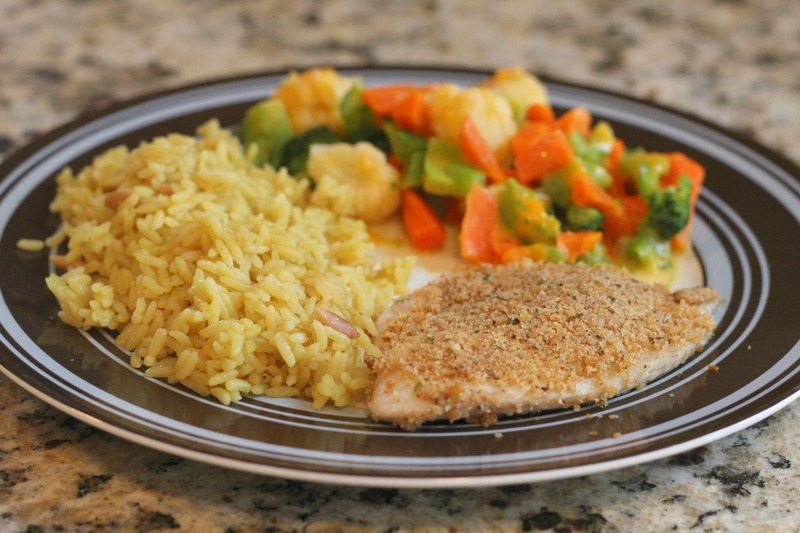 It’s one of my favorite simple fish recipes Glad you liked it!